Today we bought a new gadget to use on our grill. It is just a piece of perforated steel but the holes are a good size for letting vegetables get grill marks but not fall through. 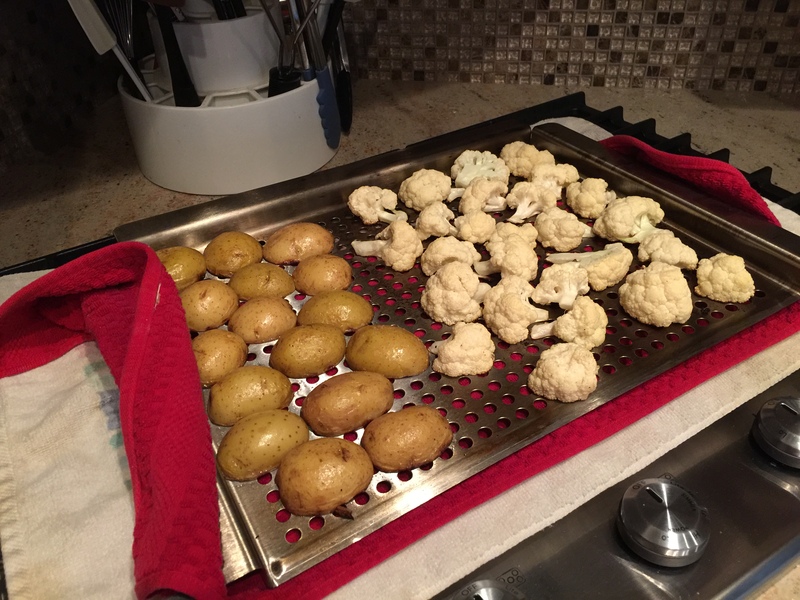 I cooked the potatoes a little in the microwave first and tossed both vegetables in some oil before grilling them. Along with a flank steak, this was a great meal. 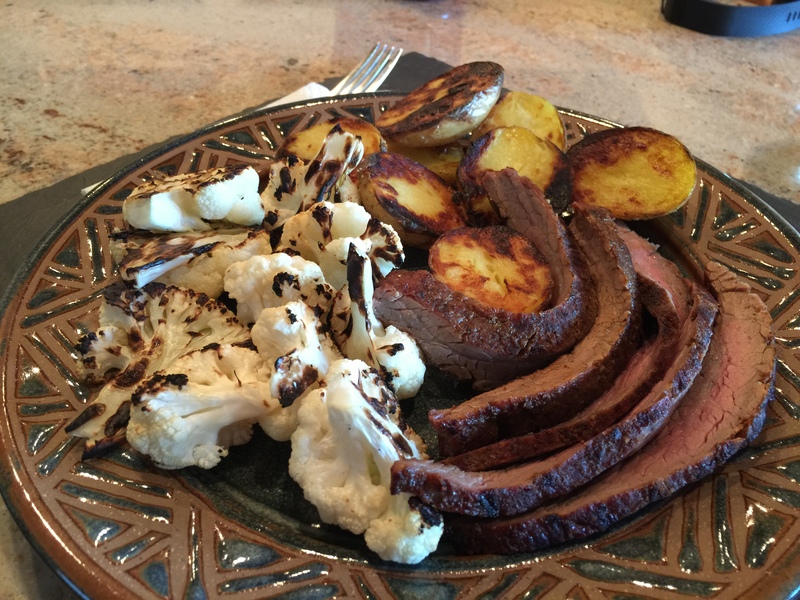 This entry was posted in Uncategorized and tagged cauliflower, flank steak, Grilling, new potatoes. Bookmark the permalink.